We've fought back with a wave of protests larger than at almost any other point in history — let's make sure that we mark the 100th day of this presidency with another mass action that stands up for our communities. 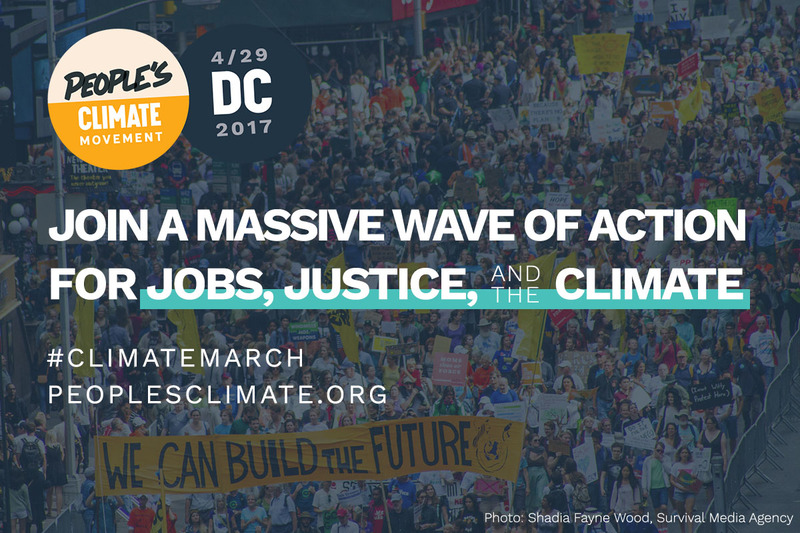 Over 100,000 people will be marching in Washington, D.C. and over 250 communities around our nation will support events for the climate, jobs and justice. Join us on April 29th at noon at Spokane's Tribal Gathering Place next to City Hall as we stand up for our community and climate. To change everything, we need everyone.